Reciprocity rates are available for students from North Dakota, South Dakota, Wisconsin and Manitoba. Typically, non-resident tuition is reduced for reciprocity students. You must apply for reciprocity online. Class specific fees ranging from $10 to $300 are also assessed on certain Art, P.E., Health, Engineering, Child Development, and Wildland Firefighting courses. See the online course schedule for additional fees charged for your specific classes. Senior citizens (age 62+) who are legal residents of the State of Minnesota may register for courses on a space-available basis beginning the day after the first day of class. The total cost to senior citizens is $32.35 per-credit ($20 per credit tuition plus regular fees) plus any special fees required for an individual course. Senior citizens who register before the second day of the term are required to pay full tuition and fees. Senior citizens can also choose to audit a course. This means they would still pay the cost per credit but would be exempt from taking tests or completing assignments. To audit the course both the student and the teacher need to complete the Class Audit Form and return it to the Student Services Office in Backes Student Center. To apply for the Senior Citizen Tuition Exemption, contact student services and provide proof of age. Books will cost approximately $840 for the academic year. (Note: Books and supplies for Engineering and Nursing students are estimated at $1,350/year.) 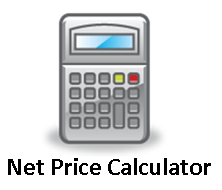 You can calculate your exact book cost by visiting the Bookstore. Students with a valid FAFSA on file at Itasca Community College are eligible to charge book costs to their student account against their anticipated financial aid. Any charges not covered by financial aid are the responsibility of the student. Book charging is allowed one week before each semester starts and ends seven business days after the start of the semester. If students do not charge their book costs during the allowable timeframe, then students must pay out of pocket. Financial Aid staff reserve the right to authorize book charging due to extenuating circumstances or college error, if warranted. Check the financial aid calendar for specific book charging dates. Additional housing/meal plan option information can be found in Residential Living. ICC students living off-campus may purchase a tax free ICC meal plan and charge the cost against anticipated financial aid. A FAFSA must be on file with ICC to utilize this option. Complete the Off-campus Meal Plan Application if interested. Deadlines apply! Set up a Payment Plan by contacting the Business Office at (218) 322-2310. Below is a reasonable budget for a full-time student (30 credits) for the nine-month 2018-2019 school year based on Minnesota resident tuition/fees of $177.47 per credit. Budgets are subject to change pending state legislative action. The following budgets are used in awarding financial aid and determining a student's financial need. Costs for child care expenses, study abroad, disability-related expense, loan fees, additional tuition costs for credit overloads (above 15 credits each semester), Nursing coursework (PRNU designated courses), Process Operations coursework (ENGT designated courses), on-line courses, out-of-state student travel, as well as one time computer purchase costs may be added to the above cost(s) of attendance with documentation. Contact the Student Services (Financial Aid) Office for more details.